Oracle has made it clear that cloud is their No. 1 priority, and that they badly want to regain their place in the enterprise marketplace that seems to be all too eager to move away to more modern and nimble options. 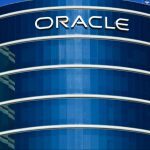 Oracle faces pressure from every side — its database business is taking a hit with AWS databases enjoying a bulk of migrations from Oracle databases, its ERP and suite of SaaS business applications are seeing a decline with the rise of newer competitors like Workday and ServiceNow, and the rise of containers has left Oracle on the wrong side of the equation, especially with the late start to the Oracle cloud platform. All this has led to a period of deep introspection, and Oracle is now more focused than ever on regaining its lost position of dominance. Now, as the challenger, we’re seeing a completely different side to Oracle as it looks to stay relevant. We’ve seen this kind of sweeping change already with Microsoft when Satya Nadella took over as CEO, and we’re now seeing it with Oracle too albeit with their good ol’ Larry Ellison still leading the charge. The flagship Oracle cloud offering is called the Oracle container-native application development platform — quite a mouthful considering the relatively easier to pronounce names of competitors. 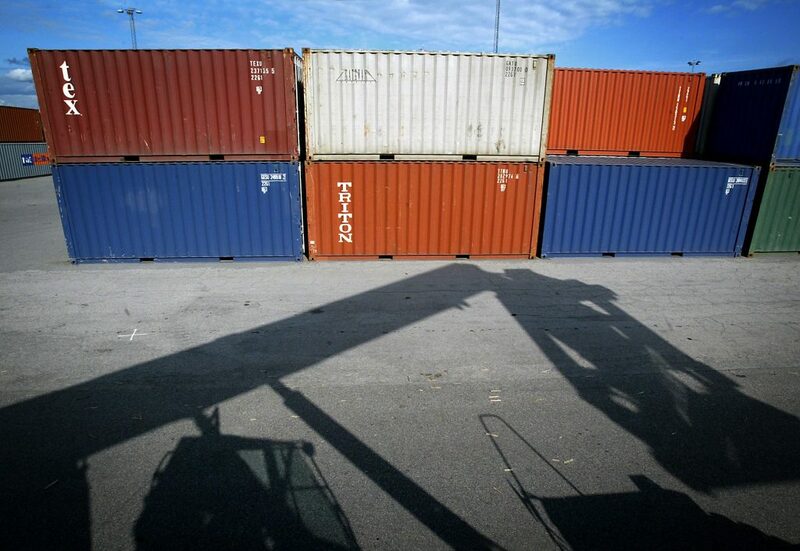 In the most recent Oracle OpenWorld event, Oracle announced the launch of its Oracle Container Engine and Oracle Container Registry — two key pieces that complete its cloud offering for container applications. This platform has five parts to it — The infrastructure layer, the container engine and registry, a microservices layer, a functions layer, and a pipelines layer. The infrastructure layer is the foundational cloud instances, or virtual machines, that power all container operations. On top of this is the Oracle container engine, where containers are managed. The registry is a private storage and collaboration space for containers that can be used within an organization by developers as they work on various projects. The microservices layer is focused on networking and is based on Istio and Envoy — two successful Cloud-Native Computing Foundation (CNCF) projects. The functions layer is Oracle’s serverless computing solution based off of their acquisition of Iron.io last year. The pipelines layer is their managed Kubernetes service that allows for automation of common Kubernetes tasks and CI/CD tasks. Oracle has moved very aggressively over the past year to assemble this platform and stay relevant in an age dominated by container technology, Kubernetes, serverless computing, and microservices. The Oracle we see today is very different from the one we’ve been seeing all these years, or even up until early last year. The Oracle cloud transition is riding on the wave of various open source technologies. Topping the list is container orchestration tool Kubernetes. Not just Oracle, the entire cloud computing industry has been taken by surprise over the past year by the explosive growth of Kubernetes. Every cloud vendor has a Kubernetes service, and to not offer one would leave you behind in perhaps the most important factor when it comes to containers. The big move to acquire Wercker over the past year has helped Oracle speed up its Kubernetes plans. That’s where Oracle got the name Pipelines from — it’s a core feature of the Wercker platform. Pipelines are how Wercker users manage their Kubernetes operations end-to-end. Acquiring Wercker was a very smart move by Oracle — rather than build the same product in-house and invest months of R&D, it makes a lot of sense to just acquire a startup that’s already done the work, and has a ready product with paying customer. Wercker was already a known name in the container circles, and so this was a relatively safe bet considering the urgency with which Oracle needed to act. Today, it’s paid off by being the centerpiece of the container-native Oracle cloud offering. Oracle has also jumped aboard the CNCF as a platinum member. It has put its VP and the co-creator of one of the first web browsers, Jon Mittelhauser, on the governing board of the CNCF. It has leveraged CNCF projects like Istio and Envoy as part of its cloud offering. This is a smart move as container networking and the service mesh is a hot topic in Kubernetes circles today. Tools like Linkerd, Calico, and Weave are doing their part to address the issue of networking for Kubernetes and they all address different parts of the problem. Oracle has seen the need and has created a focused microservices offering just to deal with container networking issues. Apart from this, Oracle has created some of its own open source tools to help with Kubernetes management. For example, Navarkos helps with multi-cluster Kubernetes management. Oracle has also created a Terraform provider to help install Kubernetes on the Oracle cloud. Oracle’s open source push doesn’t stop here; it also provides first-class support for leading open source projects like Hadoop, Spark, Cassandra, Kafka, and Tensorflow. In times past, it would have been unimaginable to see Oracle mentioned alongside open source projects as a collaborator, contributor, and champion. Today, however, the new Oracle shows that it is here to play ball, and wants to work together with open source as a genuine contributor. This is a positive development and shows progress in the right direction. Another key part of the Oracle cloud development platform is its serverless computing product Fn. Oracle has based this off their acquisition of Iron.io last year. They’ve created an open source project called the FnProject, and their commercial product Fn is based on this. Fn does execute code as a set of functions like AWS Lambda does, and that is its main feature. However, the biggest draw to Fn is that it takes a completely open approach to serverless computing. Built on fully open sourced components, it gives users full transparency into operations, and even supports multicloud use cases for serverless — this is unheard of in the serverless computing industry today, and is something competitors should take note of. In fact, Oracle really harps on this fact, calling out AWS Lambda as being a closed product on top of closed infrastructure. By contrast, Oracle’s Fn is open on open. This is something AWS has to concede at the moment as it is not possible to just “lift and shift” an application running on Lambda to a competing serverless platform. Similarly, you can’t move other AWS data like cloud formation templates to other configuration management tools if you want to — all this makes AWS quite a closed ecosystem that works great if you don’t bother to look elsewhere, but might be a nightmare if you ever find a better alternative and want to shift shop. Cloud lock-in may not be a pressing issue today with many organizations still getting a hang of how to operate in this new world of cloud computing, but once the stakes are raised and it becomes clear which cloud specializes in which type of workflow, cloud lock-in will be a real issue that organizations will have to deal with. Automation is the underlying philosophy of much of what is happening in the cloud today. Oracle is an early adopter at least in this sense. Their announcement of autonomous databases and their effort to expand this to autonomous cloud operations as well shows that they are on the ball when it comes to the future of the cloud. By autonomous, Oracle means a system that can auto-update itself, and do it with no disruption to service. This results in more secure systems as security patches are applied at the earliest and without any manual intervention. Ellison is quoted saying “if you eliminate human labor, you eliminate human error.” This is true in the case of automation, and cloud vendors that provide the most well-integrated and automated solutions are the ones that will win and draw in many customers. Oracle wants to be that cloud vendor. Given all the efforts Oracle cloud is making to reach the No. 1 position, it’s not a surprise to see such drastic changes in the organization. It may still have a long hard race to catch AWS, which has a lead of many years when it comes to the cloud, but Oracle must try or it risks becoming irrelevant. But with its open approach, championing of Kubernetes, unique products like Fn, and focus on automation, Oracle is right where it should be at the moment. Will this momentum for the Oracle cloud platform gain enough steam to threaten the smug top three in the cloud (AWS, Azure, Google Cloud)? Let’s wait and watch.